Cariloha’s Caribbean and Hawaiian-inspired men’s underwear line available exclusively at Cariloha stores. SALT LAKE CITY, UTAH – Bamboo clothing, bedding and bath goods retailer, Cariloha, this week launched its men’s boxer briefs, which are made from eco-friendly bamboo-fabric blends and designed by Cariloha’s product and design team. Available exclusively at select Cariloha stores, the bamboo boxer briefs make the Cariloha Bamboo wardrobe more complete and reflect the stay-cool, be-comfortable lifestyle of Cariloha’s Caribbean and Hawaiian heritage. Based on popular demand from Cariloha’s worldwide clientele, the bamboo briefs are designed to keep your assets covered in ultra-soft comfort from cheek to cheek. The lightweight, incredibly breathable briefs make for less sweat and more comfort below the belt. The boxer briefs are priced at $22.00. The Cariloha Bamboo Boxer Brief offers support, stability (no riding up), containment (the Y-front keeps everything inside that should stay inside), and aesthetics (looks better). Although the boxer brief is a comfortable, better choice for everyday wear, it’s an ideal option for exercising or sports. The stylish lines, tailoring and fabric construction are flattering and provide increased durability. The bamboo boxer briefs are made from 95% viscose from bamboo and 5% Spandex. They also feature a designer Cariloha logo that’s woven into a comfortable, tagless waistband and have a 4” inseam and 11” outseam. They come in two colors: white with black trim and black with green trim. Sizes: S – XL – Small (28-30), Medium (32-34), Large (36-38), XL (40-42). Established in 2007, Cariloha is the only multi-store retailer in the United States to provide an entire store experience that’s completely merchandised with products made of bamboo. The product line features an exclusive collection of apparel, accessories, home décor, bedding and bath goods and more all made from bamboo. Cariloha’s soft, breezy bamboo goods were first seen out of three, full stores in Ocho Rios, Jamaica; Cozumel, Mexico; and St. Thomas, USVI. Since the first three stores in 2008, Cariloha has already opened stores in 12 countries and growing. 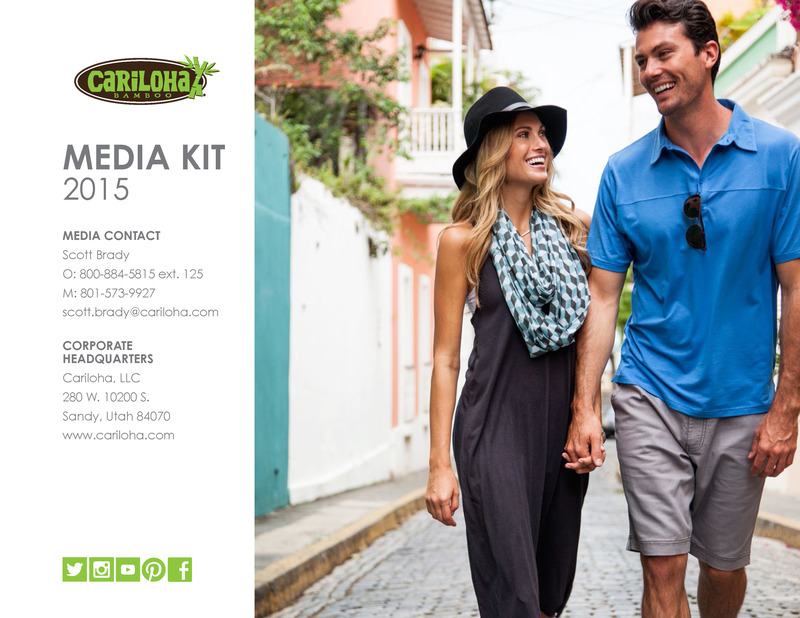 Cariloha has quickly become one of the fastest-growing merchants promoted on board Carnival, Celebrity, Disney, Princess, Royal Caribbean and Norwegian Cruise Lines. Today, thanks to an ever-growing, rich supply of bamboo, Cariloha continues to offer an exclusive collection of apparel, accessories, home décor, bed and bath sets and more all enjoying the strength, soft touch, and green ‘footprint’ of this renewable resource.